Join us for a casual meet-up over craft beers (or cold brew coffee). Meet your chapter Board members, share your latest victory (or defeat), or just catch up with your photo industry peers. 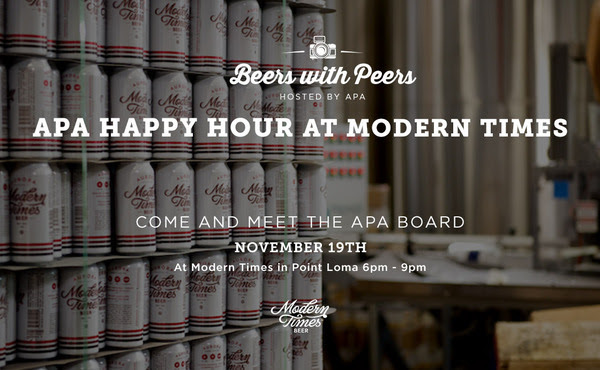 Not an APA member? No problem, everyone is welcome. Want to become a member? See all the benefits here. Pizza and good times await you. Free to all. See you there!